Globe opens registration page for iPhone 6s and iPhone 6s Plus. The release of the new crop of iPhones is very imminent. 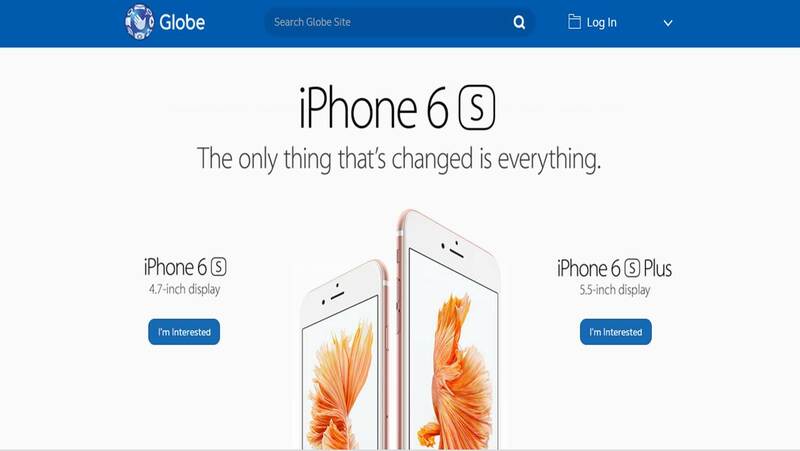 Globe Telecom, one of the country's major players, opens its iPhone 6s and iPhone 6s Plus registration portal. Pre-orders is set to start on Monday, October 26. Both the iPhone 6s and the iPhone 6s Plus will hit the country on November 6. For those interested in grabbing an iPhone via the "blue" network, you can visit their official iPhone 6s website. The iPhone 6s is the best iPhone yet. Its defining factor is the 3D Touch sensor which is a layer of pressure sensitive sensors embedded in the display panel. This feature allows you to invoke frequently used actions when you long-press an app. There are also significant number of hardware upgrades. The new iPhones now come with 2GB of RAM, 12MP rear camera with 4K video recording and a slightly sturdier shell compared to the iPhone 6. Apple also launched a new color option, the Rose Gold. 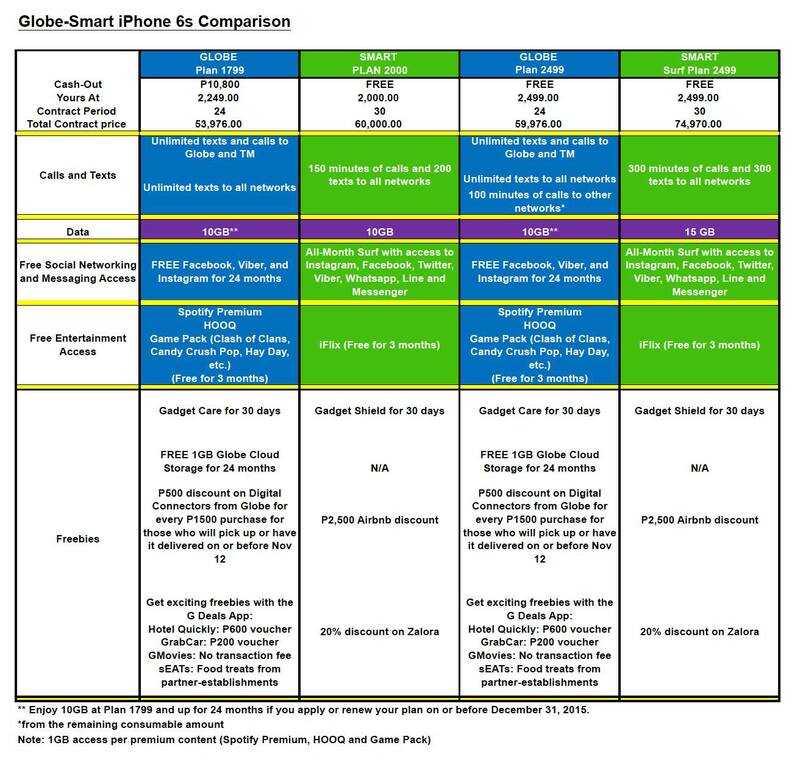 Globe is yet to release the postpaid plans and prepaid pricing for the Cupertino-made smartphones. As usual, we will keep you posted. Update: Here's a comparison chart of Globe and Smart flagship plans for both iPhone 6s and iPhone 6s Plus.